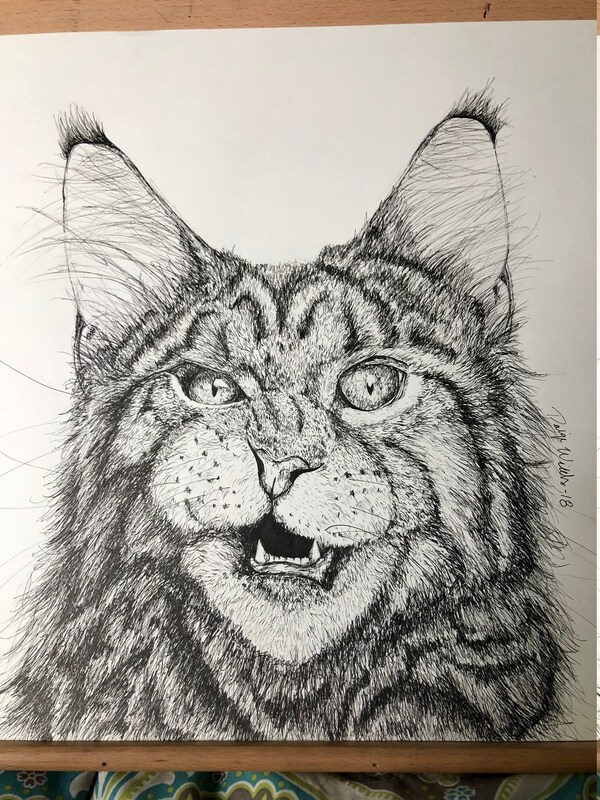 Enjoy this black and white ink drawing print of "Meow?" in any home. It comes in various sizes and is available for framing upon request. Its original was done on 18"x24" heavyweight paper in ink and micron pens. Fun fact: I have 2 cats myself that I rescued and I am obsessed with them! !